For two years, the conference devoted to spreading ‘big ideas’ has called Vancouver its home. 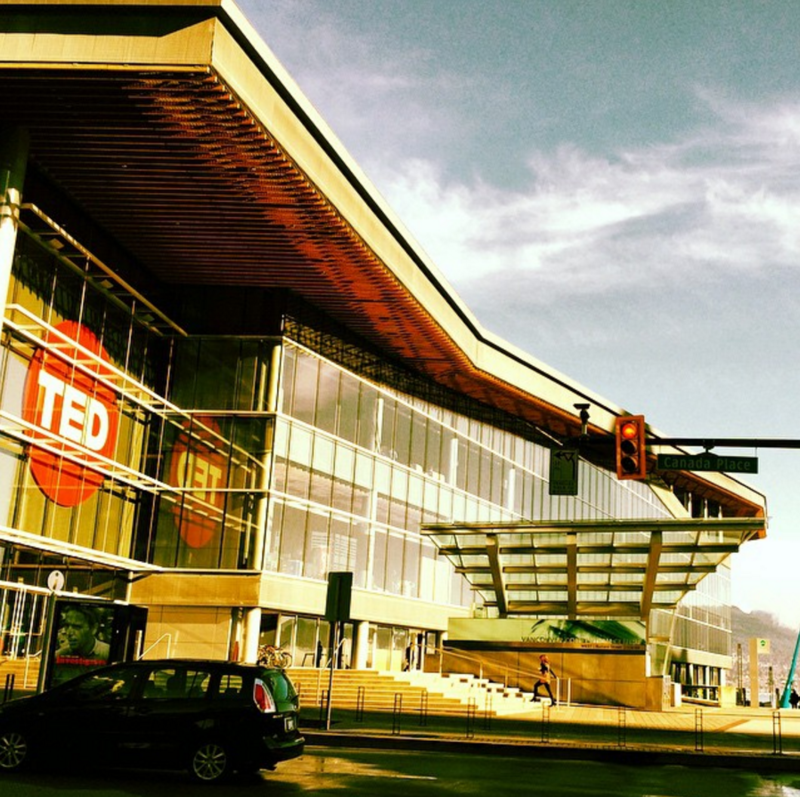 In 2014, TED’s flagship speaker series migrated from California and landed at the Vancouver Convention Centre, the main residence of UrtheCast and a frequent gathering place for Vancouver’s thriving tech sector. As one of the world’s most notable conferences, TED’s move was of course a welcome nod to our community’s status as a hotbed for innovation and big thinking. Once a year, TED attendees journey from all corners of the world to learn from an ever-impressive lineup of speakers. Beyond its signature talks, TED also treats its guests to the complete Vancouver experience, including adventures that whisk attendees off into our picture-postcard city. This year, as a part of that Vancouver experience, UrtheCast was honored to host the first leg of TED’s technology tour. Our VP of Platform and Analytics Development, Dan Lopez, and senior engineering team member Larry Reeves, guided TED attendees through UrtheCast’s vision, its democratization of the Earth Observation industry, and its groundbreaking work on the upcoming OptiSAR™ Constellation, which is designed to provide extremely high revisit rates, and the ability to image through cloud and forest canopy cover. The Constellation is the future of UrtheCast; a powerful addition to our expanding data sources. Certainly, the idea of sophisticated sensors in space is fascinating enough, but what’s paramount here is the development of technology that solves problems and provides tools for change. With that in mind, this Constellation is developed to provide researchers, developers, and analysts with extremely high revisit rates over their areas of interest ― in addition to the ability to collect optical-quality imagery, regardless of obstacles like tree cover and weather phenomena. Along with our accessible UrtheCast Platform and diverse suite of sensors, we are changing the way that people see the world in more than a few ways. And that, as they say, is an idea worth spreading. This blog contains certain information about UrtheCast which constitutes “forward-looking information” within the meaning of Canadian securities laws. Forward-looking information involves statements that an action or event “will” occur (or similar language) and includes statements about plans to design, develop and operate the so-called “OptiSAR” constellation, the benefits and features of such constellation, the Company’s ability to use the data produced by its proposed sensors and to display data on the web platform, proposed imagery products and expected partners, and customers and uses for such products. These statements are subject to various risks, many of which are beyond the ability of UrtheCast to control or predict, and which may cause UrtheCast’s actual results to be materially different, including, but not limited to, delays or impediments in the design, development, build, launch, commissioning or operation of constellation satellites, the constellation failing to operate as expected or at all, as well as those factors discussed in the Company’s prospectus supplement dated June 24, 2015 to its short form base shelf prospectus and amended and restated short form base shelf prospectus dated May 15, 2015, as each such shelf was amended on June 19, 2015 (together, the “Prospectus”) which are available under UrtheCast’s SEDAR profile at www.sedar.com. Forward-looking information is developed based on assumptions about such risks, uncertainties and other factors set out herein, in the Prospectus, and as disclosed from time to time on UrtheCast’s SEDAR profile. UrtheCast undertakes no obligation to update forward-looking statements except as required by Canadian securities laws. Readers are cautioned against attributing undue certainty to forward-looking statements. Announced Feb. 25, 2016, UrtheCast has moved the date of its first Capital Markets Day from Thursday, March 10, to Wednesday, March 30, between 1:30 pm and 4:00 pm. This event will now follow the release of our full fiscal 2015 financial results, which will occur pre-market on the same day. In lieu of holding a conference call following the release of our financial results, a discussion will take place during the Capital Markets Day. As previously announced, the event will be held at the TMX Broadcast Centre Gallery.